KitLock Nano is a digital keyless lock solution designed for furniture, small doors and drawers, in both private and public situations. KitLock adds security and does away with standard camlock and keys. 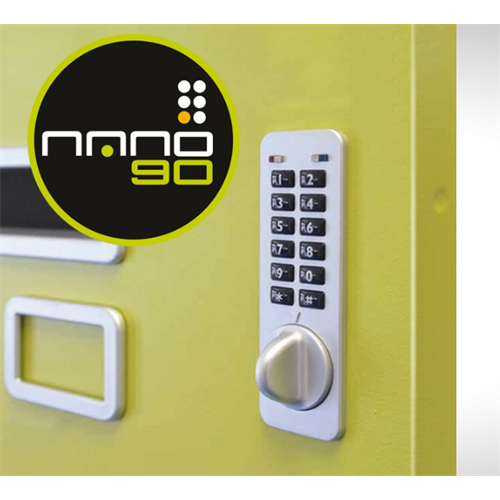 A four digit code is used to unlock, while a 6 digit maintenance code can be made available. A master code is used for management. KitLock operates on 1 coin cell battery (supplied) for up to 100,000 operations, with an external PP3 battery connection as a back-up, and features a low battery alert, and non volatile memory to retain the code in case of power failure.